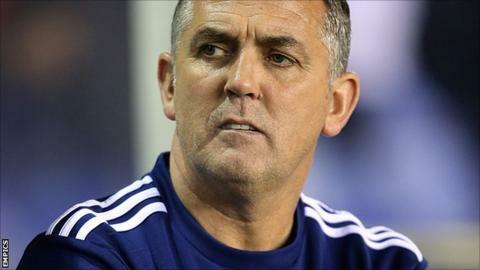 Bolton manager Owen Coyle again blamed the officials as his side slipped to defeat by Crystal Palace on Saturday. awarded for Zat Knight's foul on Wilfried Zaha. "We should have had a penalty in the first half for a handball, then he gave a soft one against us. That turned the game," he told BBC Radio Manchester. "When you're getting penalties denied and you're getting soft awards against you, which has happened to us three weeks in a row, it's hard to take." Wanderers had also conceded spot-kicks in their previous two matches against Birmingham and Sheffield Wednesday. "Decisions change games. We came out to get the three points and we were the better team," added Coyle. "They had one or two opportunities but the bottom line is that we had the better chances in the game and we should have won. "It was an opportunity to go up to about seventh in the table, so you take one step forward and another back. Of course it's hard to take."